A mug cake is a cake you cook in a mug in less than five minutes. In this book, you’ll find all the recipes you’ll need to cook in this innovative new way, from classic sweets such as brownies and carrot cake to delicious savoury tarts like quiche lorraine. 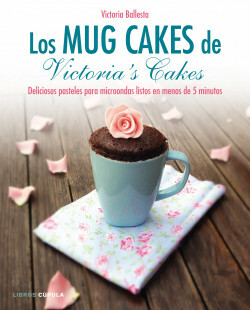 Enjoy these homemade cakes individually and still warm using just a mug, a spoon, a fork and a microwave. With this book, the author has sought to popularize this innovative baking technique and make it available to everyone, experts and novices, patient and impatient people, alike. Discover the latest thing in baking: irresistible cakes made in less than 5 minutes!